Resignations, Arrests and Illnesses, oh my! Ukrainian Prime Minister Mykola Azarov and the entire government resigned today in a surprise move after controversial elections as the economy teeters on the brink of recession. The presidency said President Viktor Yanukovych had accepted Mr Azarov’s request to give up his post and become an MP, a move expected to be repeated by several cabinet ministers. It remained unclear who would fill the powerful post of premier, with some analysts speculating it could go to a member of the elite close to Mr Yanukovych known as the “Family”. “President Viktor Yanukovych accepted the resignation of Prime Minister Mykola Azarov, satisfying the demand of the latter,” the statement added. The move came as a new parliament prepares to meet after October 28 legislative elections which raised new concerns about democratic standards under Mr Yanukovych. The ruling Regions Party appears to have retained control of the Verkhovna Rada with the help of independents despite a strong challenge from the opposition parties of boxer Vitali Klitschko and imprisoned ex-premier Yulia Tymoshenko. OSCE observers slammed the polls as a setback for Ukraine, marred by the absence of Ms Tymoshenko who is serving a seven-year sentence on abuse of power charges she says were trumped up by Mr Yanukovych. But economists also fear the country is entering troubled times and could be on the brink of a new recession that would see it seek billions of dollars in disbursements from an IMF standby package. Ukraine’s economy contracted by 1.2 percent in the third quarter of this year, and several banks fear the country is heading for zero growth in 2012, not to mention a sharp devaluation of the local currency. “This (the resignation) is linked to a number of economic challenges which Ukraine has fallen into thanks to this president and this government,” said opposition leader Arseniy Yatsenyuk. A Russian-speaking bureaucrat mocked by many in Ukraine for his dry and humourless image, Mr Azarov took office in 2010 shortly after Mr Yanukovych defeated Ms Tymoshenko in a fiercely-contested presidential election. Mr Azarov has always been seen as a close ally of Mr Yanukovych, but some analysts believe his power base has been undermined by the recent rise of a “Family” of close acquaintances of the president into top positions. Possible successors to Mr Azarov could include First Deputy Prime Minister Valery Khoroshkovsky and National Bank chief Sergiy Arbuzov, analysts said. mr Arbuzov, 36, is seen as a key member of the “Family” of Yanukovych allies. His meteoric rise to one of the most important economic jobs in the country has raised eyebrows in Ukraine. He is a confidant of Mr Yanukovych’s increasingly powerful son Olexander, who is regarded as the Family kingpin. “It is possible that this radical resignation makes sense; it is better to dissolve the government and appoint another one,” said Kostyantyn Bondarenko, head of the Ukrainian Politics Institute. He said that resignation made sense for Mr Azarov, who was approaching the pension age of 65 and would have had to work on replacing a string of ministers had he stayed in power. Mr Yanukovych has been criticised for concentrating ever more power around himself and allies since defeating the leaders of the pro-Western Orange Revolution in the 2010 polls. Other candidates for prime minister could include national security chief Andriy Kluyev and deputy presidential chief of staff Iryna Akimova. Ukrainian parliament speaker Volodymyr Lytvyn said that a decision on the composition of the new government could be taken on December 13 or 14 after the new parliament convenes. The ministers will remain in their posts until a new government is formed, the presidency said. It also noted that under Ukrainian law, whenever the prime minister resigns the entire government must do so. The presidency explained the mass resignation by saying that Mr Azarov had decided to take up a parliamentary seat rather than staying on as prime minister. 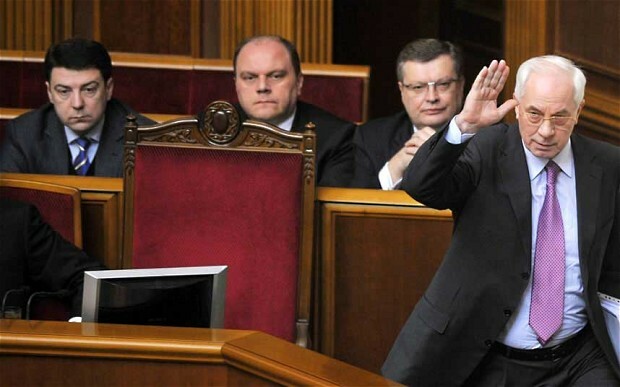 Under Ukrainian law, deputies have to cease their former work in order to take up their seats in parliament. Along with Mr Azarov, a number of other ministers were elected to parliament including Deputy Prime Minister Sergiy Tigipko and Economy Minister Petro Poroshenko. Hawkish Israeli Defense Minister Ehud Barak has announced that he will retire from politics after the next election. The news comes as surveys suggested his party was headed for defeat in the upcoming parliamentary polls. Barak, a former prime minister of Israel, enjoyed a surge in popularity following Operation Pillar of Defense earlier this month. But opinion polls showed that his Independence Party is unlikely to win more than three seats in Israel’s upcoming parliamentary elections. Barak’s faction, which currently holds five seats in the Knesset, splintered from the Labour Party in 2011. In a surprise press conference on Monday, Barak, 70, said he would not run in the January 22 election. He thanked his supporters and the Israeli government, and pledged to serve the country as an advisor and private citizen next year. 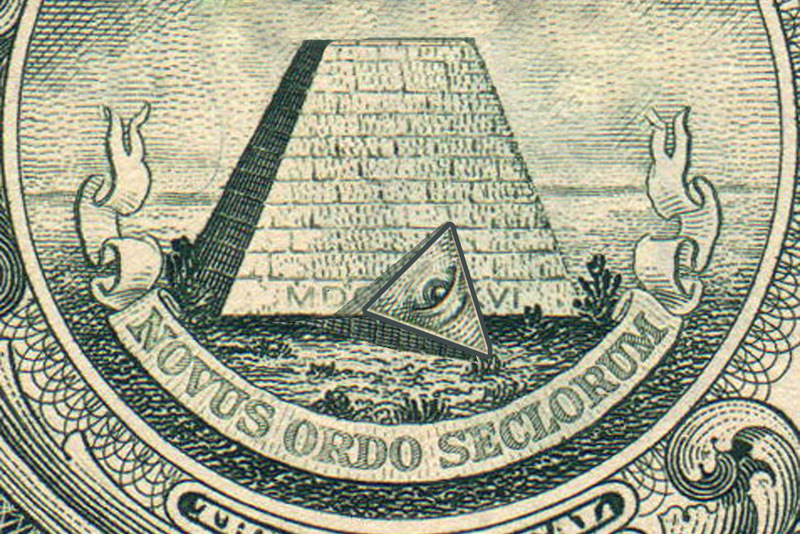 “There are many ways to contribute to the state, politics isn’t the only one,” Barak said. He added that he aims to spend more time with family and dedicate time to writing after an exhausting political career. Barak said that Israel’s major military offensive against Gaza over the last few weeks was difficult, but ultimately a success. He also stressed that Iran, and its nuclear program, will continue to be Israel’s most important security issue. Current Labour head Shelly Yacimovich expressed regret at Barak’s retirement. “[The] world’s most decorated soldier, and one of the most highly regarded security officials worldwide, has done more to the IDF and to the state’s security than the public will ever know,” Haaretz newspaper quoted her as saying. The resignation announcement came after rumors surfaced that Barak would join Tsipi Livni’s Kadima party, or form a new party with her. Before pursuing a political career in 1995, Barak served in the IDF for 35 years, eventually rising to the highest ranks and becoming the Chief of General Staff. He then served as Interior Minister under Yitzhak Rabin, and later as Foreign Minister under Shimon Peres. He became leader of the Labour party in 1996. Barak was elected Prime Minister of Israel from 1999 to 2001, before losing the next election to Likud party leader Ariel Sharon. He later resigned from the party leadership. 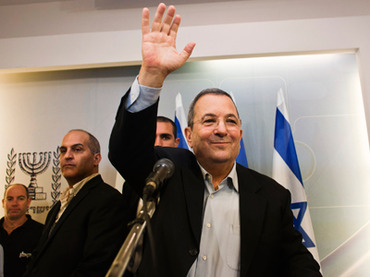 Barak returned to politics in 2005, becoming the leader of the Labour Party and Defense Minister in Ehud Olmert’s government. He led Operation Cast Lead in 2008, the IDF’s biggest assault on Gaza militants in years. He retained his position as head of the Israeli military following the 2009 election, after which Benjamin Netanyahu became Prime Minister. JERUSALEM — Israeli Defence Minister Ehud Barak on Monday abruptly announced he was quitting politics, injecting new turmoil into the Israeli political system weeks ahead of general elections. Barak, Israel’s most-decorated soldier and one-time prime minister, said he would stay on in his current post until a new government is formed following the Jan. 22 balloting. His resignation could mean the departure of the most moderating influence on hawkish Prime Minister Benjamin Netanyahu, who holds a wide lead in polls and is expected to easily win re-election. Barak, who heads a small centrist faction in parliament, often served as Netanyahu’s unofficial envoy to Washington to smooth over differences with the Obama White House. His impending departure comes at a key time for Israel, as the nation struggles to find its way in a region where the old order of Arab autocrats has been swept aside by the Arab Spring and the rise of Islamist political parties. Israel also faces a looming decision on whether to attack Iran’s nuclear program, which the Jewish state fears is designed to develop atomic weapons — a charge Tehran denies. “I didn’t make this decision (to leave politics) without hesitating, but I made it wholeheartedly,” he told a hastily arranged news conference, saying he had been wrestling with the decision for weeks. “I feel I have exhausted my political activity, which had never been an object of desire for me. There are many ways for me to serve the country, not just through politics,” he said, adding that his decision was spurred in part by his desire to spend more time with his family. Possible replacements include Vice Premier Moshe Yaalon, a former military chief, and Shaul Mofaz, a former military chief and defence minister, who now serves as chairman of the opposition Kadima Party. Barak’s political career was as turbulent as his 36-year military career was dazzling. The former war hero and military chief of staff blazed into politics on the coattails of his mentor, Yitzhak Rabin, and had been viewed by many as his heir apparent. With a resumé that includes commanding some of Israel’s most daring hostage rescue operations and raids, Barak was elected prime minister from the centrist Labor Party in 1999 — just four years after retiring from the military. Many Israelis hoped he would parlay what was seen as his sharp strategic mind and unorthodox methods on the battlefield into long-elusive accords with the Palestinians and Syria. But the consensus-building so important in the political arena did not mesh well with the go-it-alone style that served him in the military. Political allies and foes alike considered Barak aloof and imperious, and others questioned whether he possessed the interpersonal skills necessary to negotiate elusive accords with Israel’s enemies. Disappointed with his performance, Israeli voters booted Barak out of the premier’s office in record time — less than two years — after his government unraveled with the outbreak of a Palestinian uprising and the collapse of U.S.-sponsored peace talks. Hard-liner Ariel Sharon trounced him in a 2001 election. Barak left behind a legacy of failed peacemaking with the Palestinians and Syria, despite unprecedented offers of sweeping territorial concessions, and a contentious decision to end Israel’s 18-year military occupation of south Lebanon overnight, which created a vacuum quickly filled by the anti-Israel Hezbollah guerrilla group. But Barak returned to politics in 2007, handily recapturing the Labor leadership and replacing civilian Defence Minister Amir Peretz, who led a much-criticized war in Lebanon the previous summer. But while Israelis liked Barak as defence minister, they didn’t want him as their prime minister, and his party, which had led Israel to independence and governed the nation for its first three decades, lost its public appeal. In the 2009 election that brought Netanyahu to power, Labor won an all-time low of 13 of parliament’s 120 seats. Barak’s dovish base turned on him after he led Labor into Netanyahu’s conservative government, accusing Barak of betraying the party’s ideals by joining forces with a man who at the time did not even recognize the principle of a Palestinian state. But if Barak was unpopular with the public, he retained his clout with Netanyahu, whom he commanded in an elite special operations unit. As the prime minister’s point man with the United States, Barak was welcomed in Washington as a moderating influence on Netanyahu’s hard line policies toward the Arab world and Iran’s nuclear program. That alliance saw some rocky times recently with reports the prime minister objected to Barak’s newly moderate tone that Israel should defer to the U.S. in deciding whether to attack Iranian nuclear facilities. In a statement Monday, Netanyahu said he “respected” Barak’s decision. Attorney General Eric Holder announced on Thursday that he was unsure whether he would stay on as Attorney General through President Obama’s second term. The announcement was made before law students at the University of Baltimore, reported CBS News. According to Holder, his decision will follow discussions with his family and the president. “[I have to] really ask myself the question about, do I think there are things that I still want to do? Do I have gas left in the tank? It’s been an interesting and tough four years, so I really just don’t know,” he said. 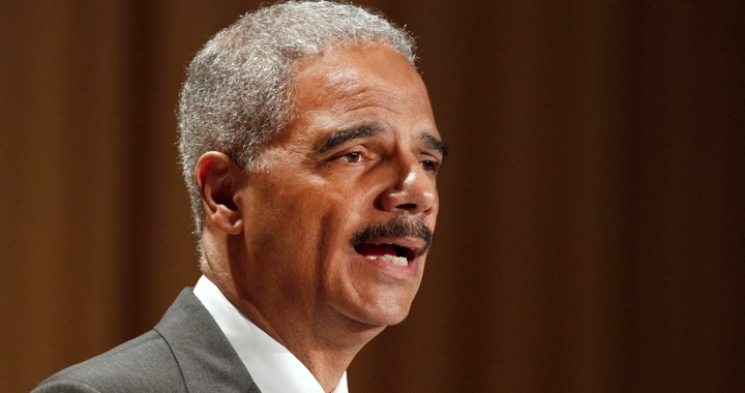 Holder’s entire tenure as attorney general has been clouded with controversy. He was found in contempt by the U.S. House of Representatives for refusing to submit documents pertinent to Operation Fast and Furious, a gunwalking operation that resulted in hundreds of Mexican deaths, as well as the death of U.S. Border Patrol Agent Brian Terry. The House contempt vote was 255 to 67 with 17 Democrats breaking from their party to vote in favor of the contempt measure along with Republicans. A second resolution — the civil contempt charge that would authorize the House Oversight Committee to seek judgment in federal court requiring Holder to comply with subpoenas — passed by a vote of 258 to 95, with 21 Democrats voting with Republicans. In addition to the scandal surrounding Holder’s connection to Operation Fast and Furious, his refusal to prosecute members of the New Black Panthers who were guilty of voter intimidation during the 2008 presidential elections was also highly controversial. The Obama administration had initially filed suit against the New Black Panthers and launched an investigation into those members who stood outside a Philadelphia polling place in 2008 holding billy clubs, dressed in military attire, hurling racial epithets at voters. The Department of Justice had won a default judgment against several of the New Black Panther members when they failed to appear at their hearing in April 2009. But one month later, the DOJ moved to dismiss the charges against one of the Black Panthers, citing insufficient evidence. For the Black Panther holding the nightstick in the video, the Justice Department pursued an injunction, which simply barred him from visiting a Philadelphia polling station for two years. The entire case sparked controversy and caused some to question Attorney General Eric Holder’s discretion. The controversy was heightened when a former Justice Department attorney, J. Christian Adams, accused the Justice Department of playing race politics by failing to prosecute the new Black Panthers simply because they were minorities. Adams claimed that the DOJ was admittedly unwilling to prosecute cases in which the assailants were non-white. According to Adams, the DOJ bore “open hostility toward equal enforcement in a colorblind way” of the voting rights laws. Human Events also reported that Holder was facing questions for his failure to disclose financial ties to a controversial abortion doctor in Georgia who had been indicted for Medicare fraud. Documents received by Watchdog.org showed that Holder had failed to disclose the fact that his wife owned the building where the doctor had operated. “If the Justice Department keeps ignoring its job, Eric Holder could be the only attorney general to leave office as the subject of more investigations than he’s headed up,” joked Tony Perkins, president of the Family Research Council. It is not unusual for presidential administrations to undergo cabinet changes in a second term. And even before Obama won reelection, Secretary of State Hillary Clinton and Treasury Secretary Timothy Geithner announced that they would be moving on. Still, the White House has been largely quiet regarding the potential for staff changes. 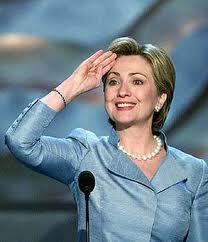 “The personnel issues will be dealt with appropriately,” said Obama senior adviser David Plouffe. But according to the Boston Herald, a possible replacement for Eric Holder’s position is Massachusetts Democratic Governor Deval Patrick. Patrick was one of the considerations for the U.S. attorney general position back in 2008, but at the time, he was in the middle of his first term as Massachusetts governor.